Enjoy the casual elegance of the River’s Edge Cafe on the banks of the Youghiogheny River, in the quaint mountain village of Confluence, Pennsylvania. Dine on the wrap-around porch overlooking the river, or inside the old-world 1890’s farmhouse. Long a favorite of bicyclists on the Great Allegheny Passage. Established in 1989, our specialties include seafood, steaks, pasta,soups, salads and all your favorite wine and spirits. 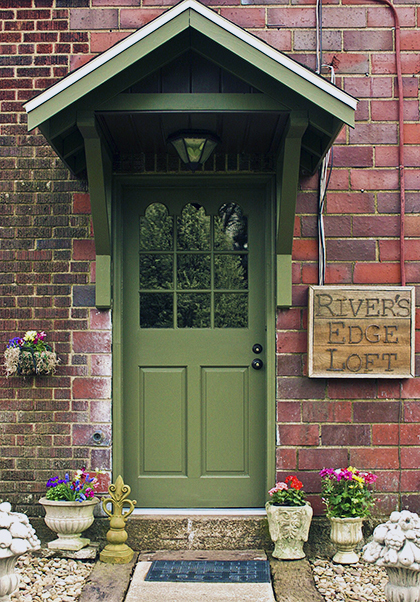 The River’s Edge Bed and Breakfast adjoins the River’s Edge Cafe on banks of the river. Built in the 1930’s, it contains three double occupancy bedrooms, a full bathroom, living room, kitchen and a front and back porch with the latter overlooking the river. 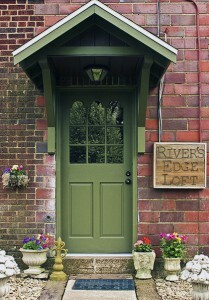 Along with the Bed and Breakfast, The Loft is just steps away from the River’s Edge. This spacious sleeping quarter, is located above the Antique shop, in the historic building that was originally built in 1940 to serve the purpose of a lumber yard. It is situated on the lovely grounds of the River’s Edge. For some unique gifts, stop in our Imports From India shop that is located just behind the River’s Edge Cafe in the rustic log cabin overlooking the Youghiogheny River.